SAN DIEGO, California and TOKYO, Japan (Jan. 15, 2013): Eurus Energy America Corporation (“Eurus”) and EDF Renewable Energy (“EDF RE”) are pleased to announce the acquisition by Eurus of a 40 percent cash equity ownership interest in the Spearville 3 Wind Project, a 100.8 MW wind farm developed and built by EDF Renewable Energy. Alongside Eurus, a BlackRock managed fund also acquired a 40 percent cash equity ownership interest in Spearville 3. This transaction follows the successful closing of tax equity financing from Bank of America Merrill Lynch (“BofA Merrill”) in December 2012. EDF Renewable Energy remains in the ownership group and will continue to provide long-term operations and maintenance services to the Spearville 3 project through its affiliate EDF Renewable Services. 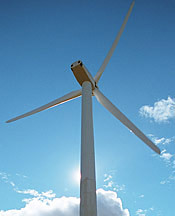 The Spearville 3 project, located northeast of Dodge City, Kansas, is comprised of 63 GE (General Electric) XLE wind turbines. The project began delivering carbon-free electricity in October 2012 to Kansas City Power & Light under a 20-year power purchase agreement. Eurus Energy America is the wholly-owned subsidiary of Tokyo-based Eurus Energy Holdings (www.eurusenergy.com) and is responsible for renewable energy investment in the Americas, now comprising more than 770 megawatts in wind and solar power generation. Eurus Energy Holdings, owned by Toyota Tsusho Corporation and Tokyo Electric Power Company, is a global developer, owner and operator of renewable energy facilities, including both wind and solar, with more than 2,300 megawatts worldwide. Eurus Energy America has been active in the United States for over twenty five years, beginning operations in California in 1987.